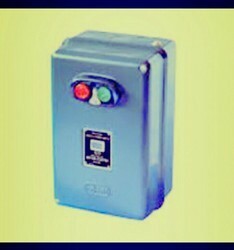 Pioneers in the industry, we offer auto transformer starter and rotomatik dol starter from India. With our rich industry experience, we are engaged in offeringProduct. The product provided by us are obtainable in various sizes and have achieved vast admiration for their precise performance & easy maintenance. These gear pumps are processed by utilizing basic components and modernize technology according to the market norms. Apart from this, the offered gear pumps are examined by our competent workforce against various provisions of quality. 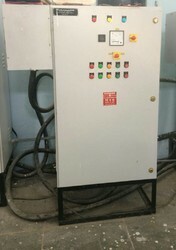 We are an ISO 9001.2008 company,and pleased to introduce ourselves as leading manufacturer of all types of Pump/Motor Protection Relays n starters,control panels,submersible control panels,digital meters,auto liquid level Controllers,digital panel meters and mobile starters..
Our control panels,motor protection relays especially 3phase control panel we manufacture are high in quality,calibrated,accurate long lasting with durable hardware,micro controller based molded in Sheet metal enclosure with powder coating. Please send us your exact requirement exact logic so that we can duggest you proper solution. For quantity purchase we provide best economical cost. ATS starter we manufacture are high in quality with auto oil cooled and air brake contactors and relays. Provided with winding of tapps of 50/65/80%,to start motor smoothly. For ordering pl mention following. 6.Other things if you want to specify. 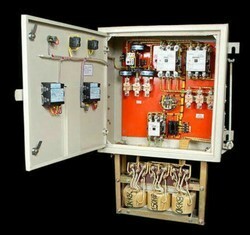 Looking for Transformer Starter ?